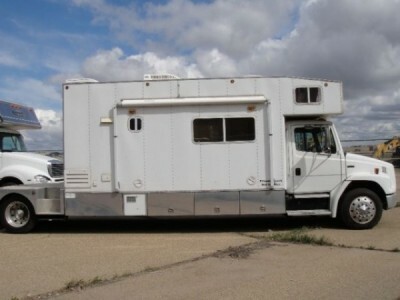 1999 Freightliner Toterhome FL70 Class-C Motorhome. Injectors, turbo and ecm all done in the last 5000 km by Performance Diesel in Utah. Transmission and Differential rebuilt in last 10000 km. New tires. Custom stereo with DVD and navigation. Custom air ride seats. Fully serviced ready to hit the road. 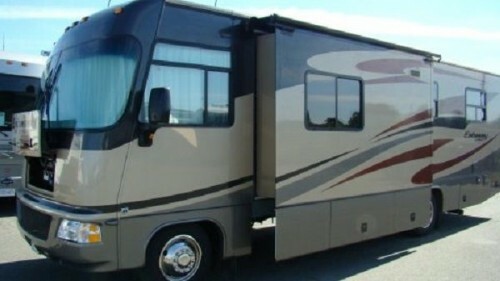 Coach: 16ft living quarters. 7000 watt onan generator with new fuel pump. 100 gallon fresh water tank. 70/40 gallon grey/black holding tanks. 100lb propane tank. Fully custom real maple cabinetry. Self finding satellite. Air conditioning and furnance. RVQ outdoor BBQ. Outdoor stereo and speakers. Outdoor shower. TV, DVD with surround sound. 2000 watt inverter. 10 gallon hot water tank. Sleeps 6 comfortably. Recent inspection with oil samples provided. Conversion completed in 2009. Please call 780-940-5346 to view. 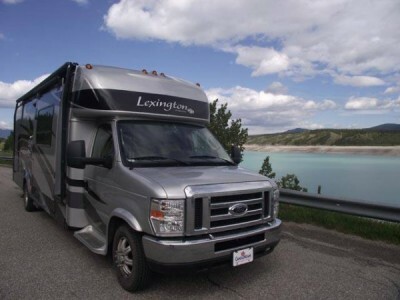 2009 Forest River Lexington 283TS Class-B+ Motorhome. Take over payments option. We are a non smoking couple. Reason for the sale: we do not use it enough. Mint condition, clean and shiny. Sleeps 6. It has always been stored in a heated garage over the winter time. Easy-to-drive, 3 slide outs, fully furnished, like new. Please call Laurie 780-284-0262 to view. 2007 Pilgrim Legends 27RLS + F-350 Lariat Combo. 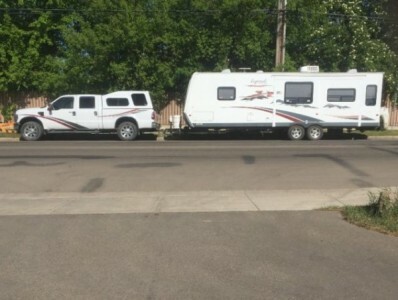 Everything included, many new items complete with 2009 Ford F350 Lariat 6.8L V10, 4x4, 4 door with matching graphics. 15,940 km on truck Matching topper and lots of extra chrome. 58 ft long but very easy to maneuver. Selling due to health. Please call 403-346-6947 to view. 2009 Triple-E Embassy 30GXL Class-A Motorhome. sleep 6 and is in Excellent Condition, inside and out! !, Plus has many features! 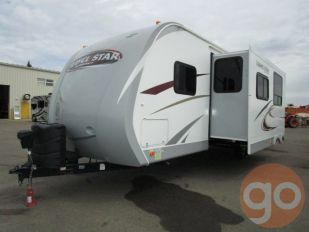 The exterior offers assist grab handle, a ladder, porch light, full body paint, screen entry door with deadbolt lock, electric entry step, slide topper, patio awning and many exterior storage compartments with aluminum baggage doors with gas struts and slam latch. The interior is finished with pleated shades, soft touch ceiling and raised oak cabinet doors. The cab offers a rear view and side view cameras, dash fans, privacy curtains, a TV, overhead storage and cup holders. The main living area features a booth dinette with under seat storage which can be made into a bed, a jackknife sofa bed and overhead storage cupboards. The kitchen comes equipped with a double sink with cover, flip up counter, 3 burner range with microwave convection oven, a pots n pans drawer, and a 2 door raised panel refrigerator. There is also a handy pull out pantry cupboard for food. The bathroom offers a power bath vent, skylight in shower, foot flush aqua magic toilet, acrylic sink in laminate counter and a neo angel shower with glass doors. The rear bedroom is spacious and features a walk around innerspring mattress, dual shirt wardrobes, overhead cupboards, individual reading lights, fabric headboard with matching pillows and bedspread. There is a large wardrobe cupboard in the front corner. This unit comes equipped with hydraulic leveling jacks, 55 amp converter, 4.0KW generator and exterior shower. It also comes with the GXL package including: Engine aid system ensures you have hot water on the go as well as to heat the Holding Tanks while driving. All tanks are Enclosed, Insulated and Dual Heated. Light Package in Baggage Compartment, Rear Auxiliary Heater and Thermal Pane Windows. We have used this unit for winter skiing several times and have always stayed very comfortable. 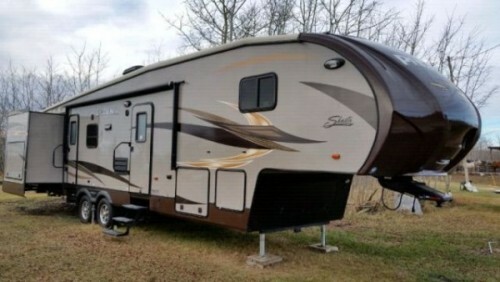 We absolutely love the unit but are now getting ready to go fulltime RVing and will be purchasing a larger Triple E unit. Please call 403-360-0012. 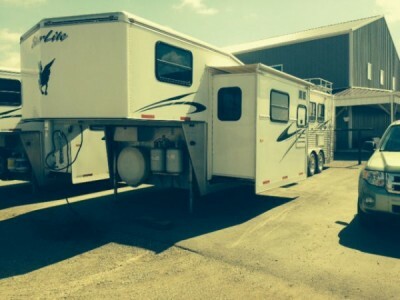 2008 Silverlite Spirit III 4 Horse Trailer with Living Quarter, 1 Slide Out, 20ft Awning, Sleeps 4, 1 A/C Unit. Hydraulic Leveling Jacks. great condition, used about 10 times. Rear Tack Area, Storage Doors Under Mangers, All Wheel Electric Brakes, Single Piece Aluminum Roof, Rear Dock Bumper, Stainless Steel Nose Wrap, Diamond Plate Rock Guard. Kitchen Amenities Include: Corian Counter Tops, 2 Burner Stove, Convection Microwave, 2 Door Refrigerator And Freezer, Copper Sink, Built In Booth With Exotic Leather, Slide Out Pantry Shelves For Food Storage. Living Area Amenities Include: Cable Ready, Built In Stereo And DVD Player. 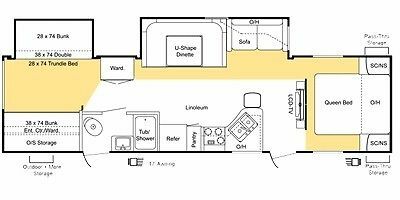 Bathroom Features: Corian Counter Tops, 3-Full Size Double Door Closets, Medicine Cabinet, Larger Shower, Exhaust Fan In Bathroom W/Power Open And Shut, Porcelain Toilet. Bedroom Amenities Include: Headboard With Mirrors, 10ft Slide, Built In TV Over Bed, Wardrobe Closet. 5500 Marquis Gold Onan Generator, 50 Amp Plug. Please call 403-620-2673 to view. 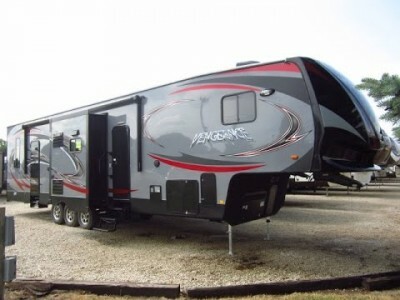 Optional Features: Vengeance Premium Package(Comes with upgraded 8 cubic foot elec/gas fridge), 5.5 Onan Generator, RV Refrigerator, Electric Jacks, Gen Prep and Transfer Switch, Ramp Door Patio System, Screen Wall/Tent Wall, Double Electric Bed's W/Bottom Bed/Couch Combo, Solid Surface Kitchen Countertops, Upgraded Kitchen Faucet, Fireplace/Electric Heating with Stone Front, Larger Flat Screen TV, Upgraded Reclining Theater Seating, BluRay System with Sound Bar, LED Accent Strip Lighting, Bluetooth Stereo, LED Lighted Awning, Keyless Entry System, New Front Cap with LED Lighting, 2nd Bedroom AC Unit, And More! Please call 403-580-0090 to view. 2008 Chevrolet Silverado 1 ton dually, 254000 km. 18000 km on new Michelin tires. 2 custom made. aluminium tool boxes. Please call 780-842-0471 to view. 2008 K-Z Escalade 41SKS Fifthwheel. High end toyhauler. 3 slide outs. 12ft garage with w/d. Electric double bunks. A/C. Fantastic fans. Fireplace. Central Vac. 5500 watt Onan generator. King master bed. Auto find satellite. Backup camera. Used very little. Sleeps up to 10ppl. Please call 780-518-4075 to view. 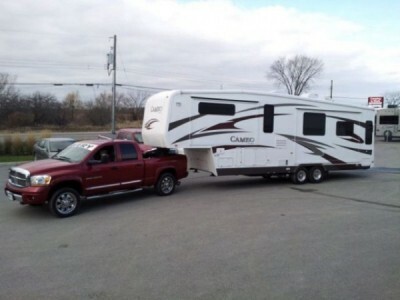 2015 Keystone Carbon 33 Toy Hauler. Loaded with Decor Pkg, Safety Pkg, Interior Value Pkg, Exterior Value Pkg, Upgrade Value Pkg, 97in Couch w/ Recliners, Correct Track Suspension, LED TV, Onan 4.0 Generator, Rear Screen, Removable Cargo Carpet, Electric Beds w/ Dual Opposing Couches, And Much More!!! Come By TODAY. Purchased last year used a could times. Cummins Onan 4000 integral generator (gas). 400Lt water tank. 80Lt fuel storage with pump. 10ft garage area. Anderson anti-sway hitch will come with. Good trailer, wont get the use out of it. Please call 403-348-9454 to view. 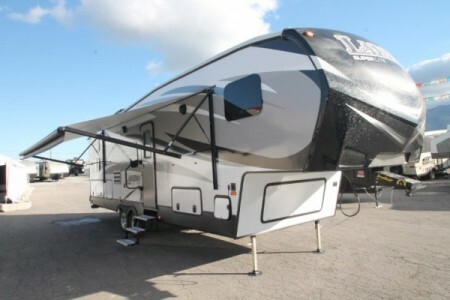 2014 Forest River Shasta Phoenix 35BH Fifthwheel. 4 seasons. Only used a few times never traveled with it. For more info, please call or text Ken at 403-634-7393, no emails please. 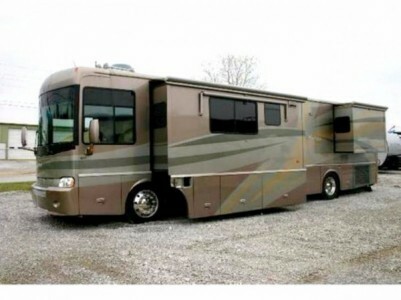 2005 Itcasa Horizon 40AD Class-A Motorhome. 2 level engine brake. Dish washer, washer dryer combo, side by side fridge, HD TV, 7500W Diesel Generator, 4 slides, power awnings, 3 solar panels, dual compressor heat pump, 2500W inverter converter. Includes charter membership to Holiday Park Resort, Kelowna. Please call 250-486-0141 to view. 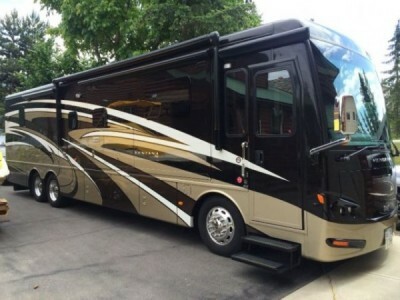 2015 Newmar Ventana 4037 Class-A Motorhome. 40ft Diesel, 400hp Cummins, 3 slides, power awning, Bath and a Half. Please call 250-517-8537 to view. 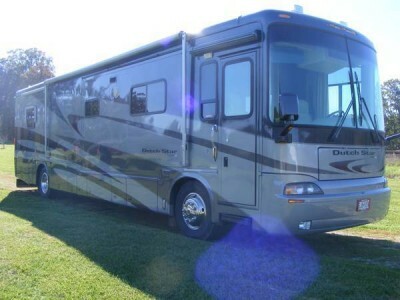 2005 Newmar DutchStar 4023 Class-A Motorhome. Excellent Diesel Pusher has seen us through many long trips and is ready to go to someone who will use it again. Used as a transport to and from trade shows over the years, babied though and in excellent running condition. Some wear and tear of course. Come see this beauty and drive it home today! 2 years on new front tires and 15,000km on the rear tires. 2482hr (2482 equals 76.3km per hour, mostly highway). 350Hp. Please call 604-987-5311(morning) or 778-833-4281 (evening) to view. 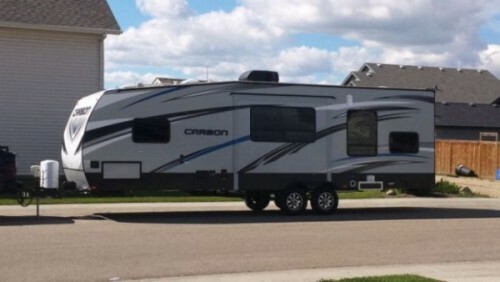 2015 Keystone Laredo Super Lite 285SBH FifthWheel. 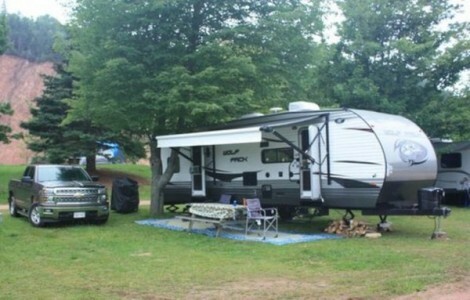 Camp with the whole gang in this Keystone Laredo Super Lite fifth wheel model 285SBH. This unit offers a private bunk room with double bed bunks. There are also dual slide outs which create a spacious floor plan layout. Step inside and find the kitchen on your left. It includes an angled counter with large sink, overhead cabinets, a three burner range, refrigerator, and more storage beneath the counter-top for dishes and things. Opposite the door side find a slide out booth dinette and tri-fold sofa sleeper with storage above. A corner entertainment center is across from the sofa and can easily be viewed from any seating in the room. A rear private bunkhouse features a double bed set of bunks, plus a corner wardrobe. Head up the steps to the right of the main entry door and find a side aisle bath on the left featuring a tub/shower, toilet, and vanity with sink. Continue on to the very front of this Laredo Super Lite 285SBH and find a large master bedroom featuring plenty of storage. There is a slide out wardrobe, two bedside wardrobes, and overhead storage too. You will enjoy a great nights rest on the queen size bed provided, plus so much more! Please call 780-238-6621 for more info. 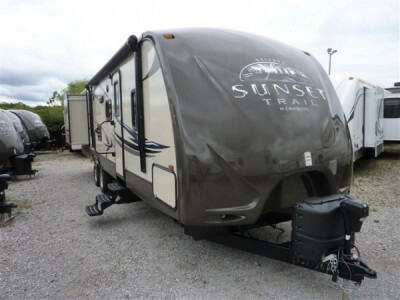 2013 Crossroads Sunset Reserve 32FR Trailer. Please call 905-467-3350 to enquire. 2011 Ford Super Duty F450 Super Cab Truck. Aluminum Deluxe Service Body. 6.7L V8 Ford Diesel Engine. Serviced at Regular Intervals. Very Clean Smoke Free. 12’L x 8’ W x 78” IH Aluminum Deluxe Service Body. Onan CMQD 10.0HDKCC/42345 120/240 Single Phase Diesel Genset Plumbed into Chassis Fuel Tank. c/w Remote Panel # 300-4942. Vibration Dampener Kit. 1500W Xantrex AC Power Invertor Wired to Breaker Panel. Air Compressor Installed. ½” Female Air Couplers above Work Bench and Exterior Compartment Plumbed for Compressed Air. 5 HP Working PSI 150. Webasto Airtop AT3500 Diesel Fired Heater Mounted below Bench for Service Body Temperature Control. Oxygen / Acetylene Compartment with Hose Racks. Hoses Accessible Through Interior Door for Access at Workbench. 10’ Galvanized Steel Topped Workbench. Numerous Shelves and Drawers for Storage (see attached pictures). 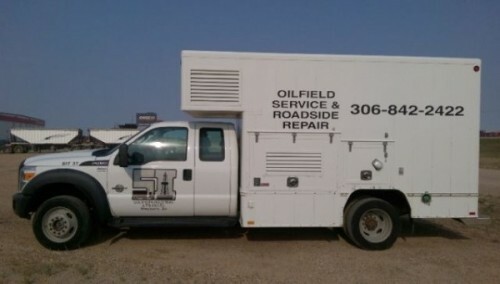 This Service Truck is ideal for work in the Oil & Gas sector, Agricultural, Electrical, or Plumbing industries. Anywhere you need a mobile Full Service Unit, this truck will surpass your expectations in every way. Please call 306-842-2422 to inquire. 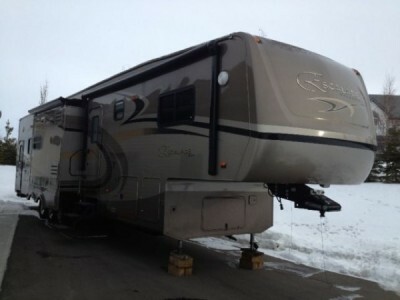 2012 Palomino Sabre 34REQS Fifthwheel. 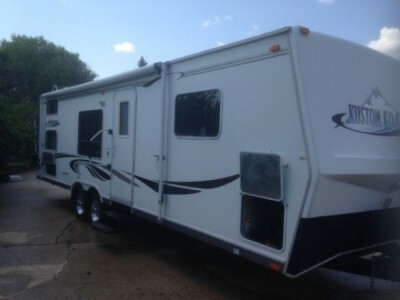 Fully loaded with extras, 4 slide toppers,4 remote levelers, fire place, pop up tv, 2 eruo recliners, etc. selling due to health. check review this trailer on this web site (cut and paste). WILLING TO TRADE FOR CLASS A RV OF SAME VALUE. Please call 905-309-4109. 2005 Thor Jazz 2550RL Fifthwheel. Hard wall fifth wheel for sale Big slide. Sleeps six Everything works great. Just not used enough Lots of storage underneath Make me an offer. Motivated! Please call 780-953-7943. 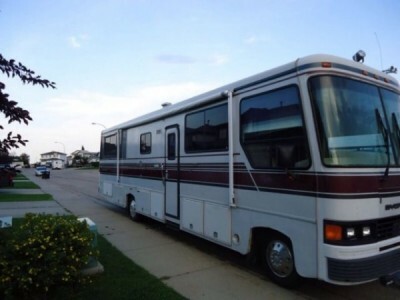 1992 Fleetwood Bounder 34Ft Class-A Motorhome. Do not want to spend a small fortune? Not looking to second mortgage your house? Well now you can have your s'mores and eat them too. 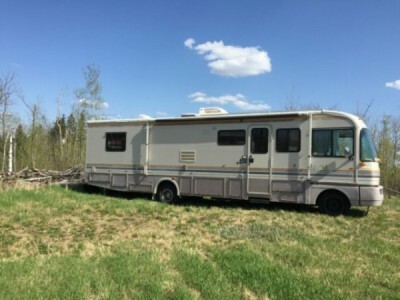 This well maintained 34 foot piece of heaven can be yours for a fraction of the cost of other motorhomes with no shortage in fun. The Ford 460 engine will get you to your destination with plenty of time for a campfire and ghost stories while having enough sleeping room for you and 5 of your family members or closest friends. Don't miss out on this great opportunity to own a motorhome that is sure to put a smile on your face. Bounder Motorhome. cherished camping memories. New coach, bathroom and roof fans. Furnace rebuilt. New upgraded exhaust system. Flatscreen TV w/ Harmony remote. JVC in-dash CD/radio w/ remote. New fridge in 2013. All new tires in 2012 with new spare to match. Water heater bypass installed. Most light fixtures replaced with some being fluorescent. Two new 6V batteries for the coach in 2014. New hig amperage chassis battery in 2013. Central vacuum. Awning mechanism replaced. Serious inquiries only. Please call 780-417-4154. 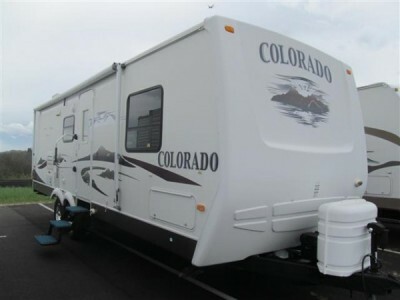 2006 Dutchmen Colorado 31BK Trailer. 2 Bunks. Front & Rear Entry Doors. Center Living Room. Skylight above Tub. Jackknife Sofa. Side Aisle Bath w/Shower. Booth Dinette. Ducted AC. Front & Rear Stabilizer Jacks. Front Queen Bed. Gas/Elec. Water Heater w/DSI. Double door refrigerator. AM/FM/CD stereo. 3 BURNER STOVE. Microwave. Fiberglass Exterior. Gas Water Heater. 1 Slide Out. Center Kitchen. Patio Awning. Outside Shower. Please call 780-974-4442. 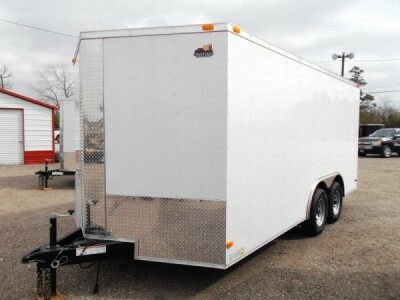 2008 Keystone Sprinter 32Ft Trailer. Located in Lindsay Ontario at Double M Campground includes: **New** Deck Summer 2014, Electric Lawnmower, Electric Weedwacker, Kitchen dishes, **New** Shed Summer 2014, Gazebo currently on Deck, Built in Lights in Deck on remote, Outdoor Fridge. Trailer has two bedrooms one with 3 bunks and hide-a-way bed, and queen bed in 2nd bedroom. Couch pulls out to bed also. TV in Kitchen/Livingroom turns around to bedroom also, really nice feature! Everything you need to start Camping to relax and just enjoy! Please call 519-465-2660. 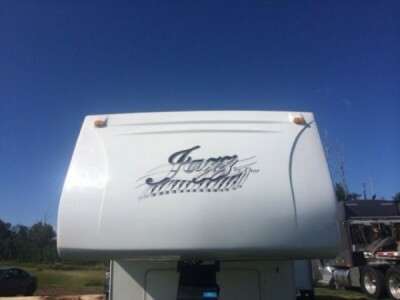 2009 Jayco Jayflight 23fb Trailer. Still in excellent condition. Very well maintained. Sleeps 4 comfortably. front bedroom, rear full size bathroom with wardrobe. Very clean. Everything works perfectly. We bought a bigger trailer. All details of the trailer can be found on Google under the name of the trailer. The GVW is 6500 lbs and it is SUV towable. Great couples trailer. The floor plan is in the picture. Please call 780-970-4962. 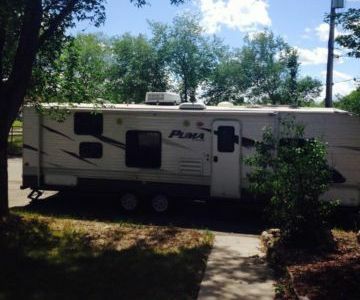 2012 Palomino Puma 30ft Trailer. Very new lightly used. queen bedroom/ jack and Jill bunks/ sleeps up to 8 people. Ac/furnace full entertainment centre outdoor speakers. Mass amount of storage. Please call 306-502-3956. Closet with mirror doors. New tires. New windshield. New tile in bathroom, hallway, and kitchen. Complete tune up for 2015. Please call 780-918-3087. 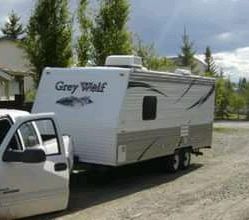 2009 Forest River Greywolf 22Ft Trailer. Too big for just me. I want to downsize to a race trailer. Please call 403-650-1248.